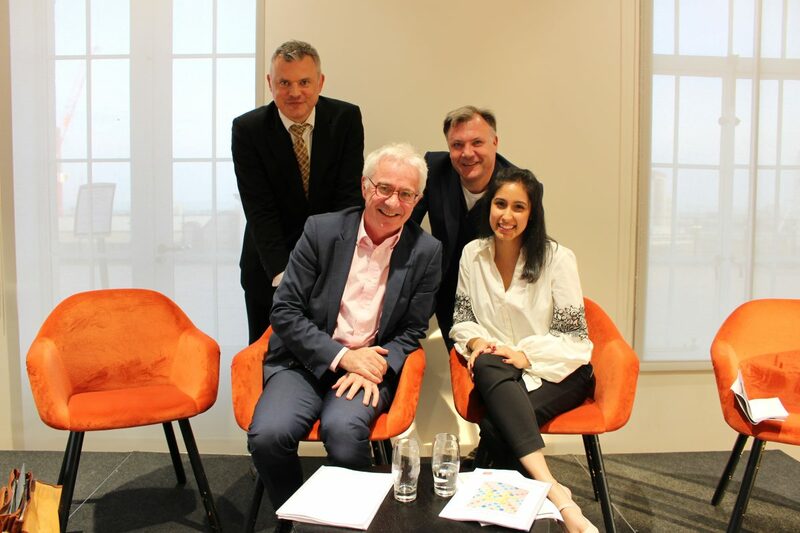 The twenty-ninth event of King’s College London’s Strand Group took place at Bush House on Wednesday 16th May. King’s Visiting Professor Ed Balls, Peter Sands and Mehek Sethi launched their Harvard working paper, ‘On the Rebound: Prospects for a US-UK Free Trade Agreement’, which is co-authored with King’s PhD student, Eleanor Hallam, and Harvard graduate students, Nyasha Weinberg and Sebastian Leape. This paper, the third in a series of Harvard Brexit papers launched in collaboration with King’s, examines the prospects for, and potential impact of, a free trade agreement between the US and the UK. The research is based primarily on interviews with senior government officials, economists and trade experts, plus a range of companies and trade associations from the UK, US, and Europe. The paper discuss the key potential upsides, possible risks and principal negotiating issues from both US and UK perspectives. It concludes that it is highly unlikely that a free trade deal between the US and the UK will be secured in the near term and that the likely potential benefits for British businesses are less than often suggested. Ed and Peter also wrote a Huffington Post blog post discussing the key findings from the paper.